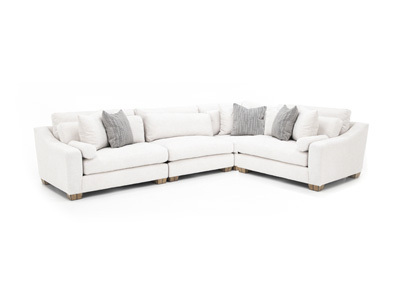 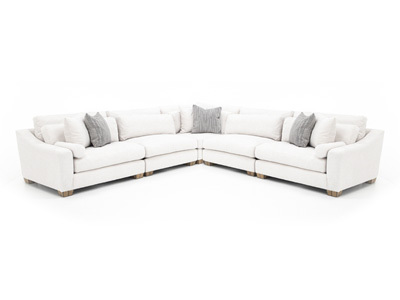 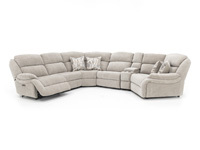 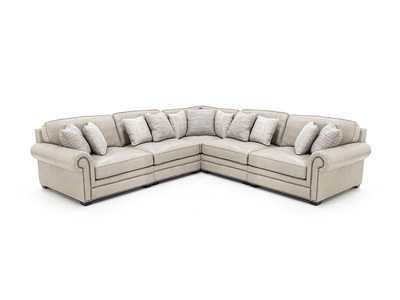 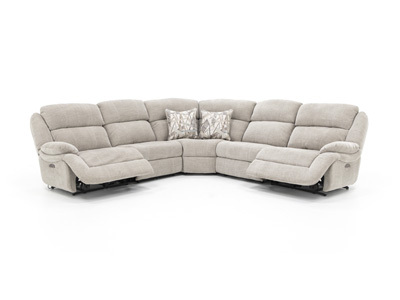 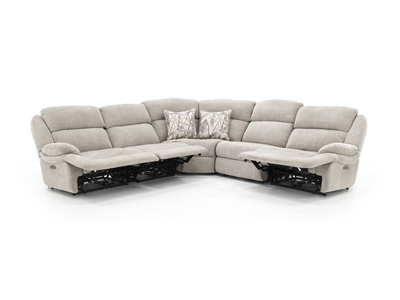 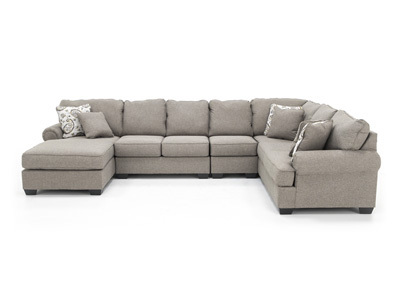 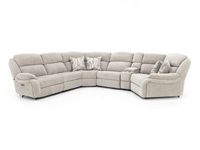 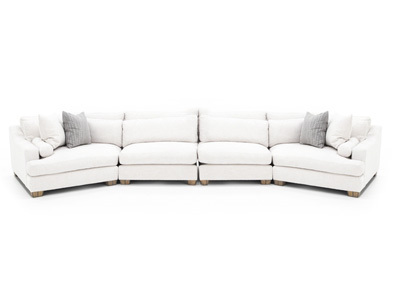 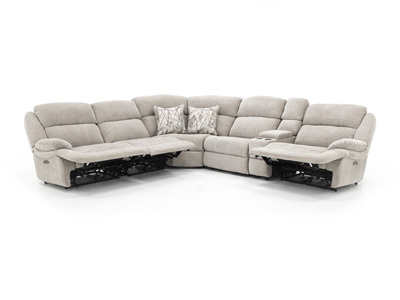 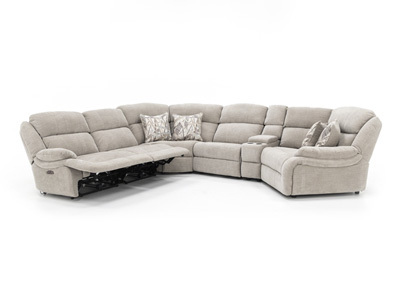 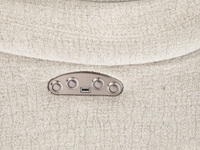 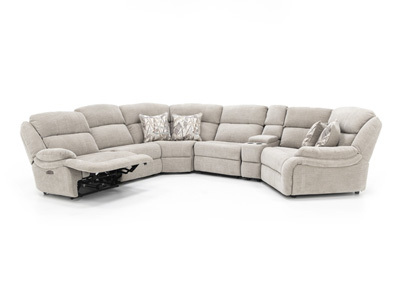 There are comfort features throughout the Baird reclining modular. 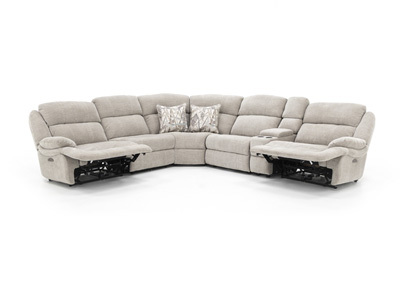 Enjoy the convenience of power recline and power adjustable headrest on one end and the depth and “cuddle factor” on the other! 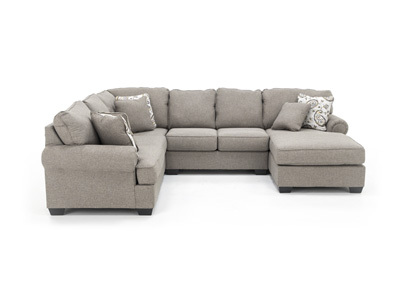 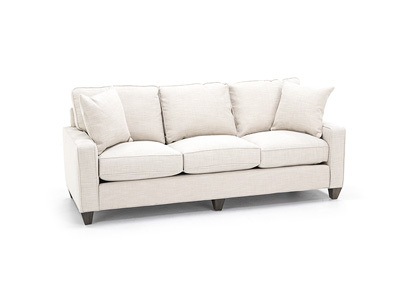 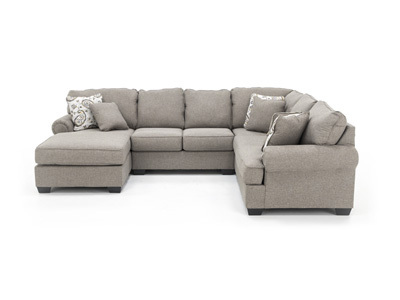 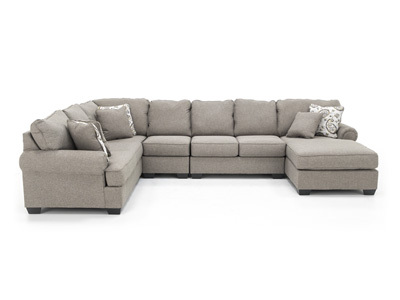 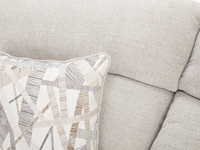 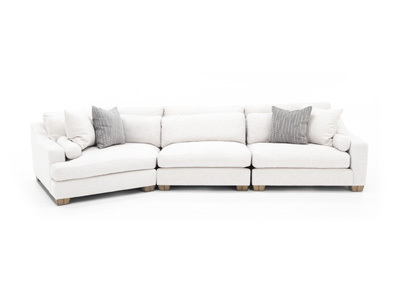 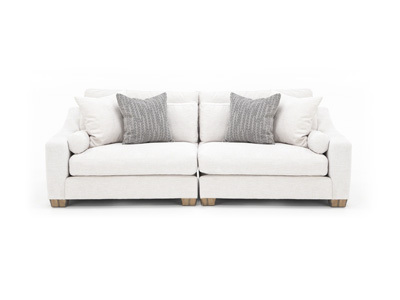 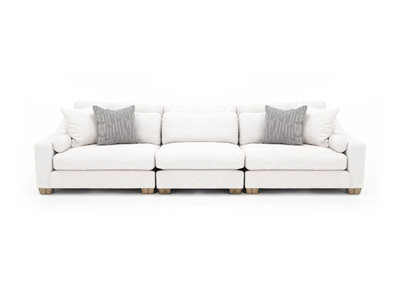 The soft, padded chenille fabric adds to the comfort and the accent pillows add a designer touch.